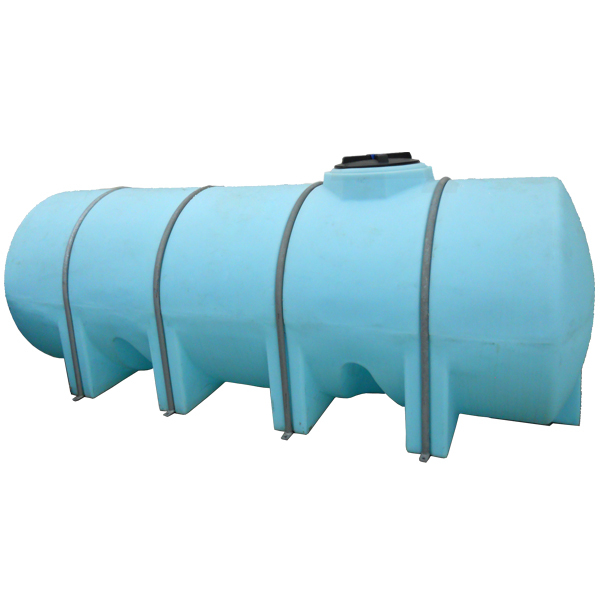 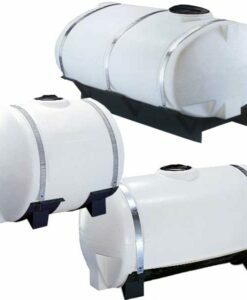 Horizontal Leg Tanks are primarily used for transport and nursing applications for a wide range of chemicals. 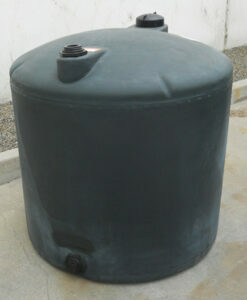 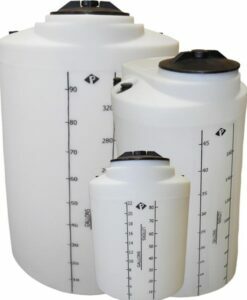 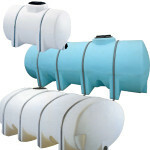 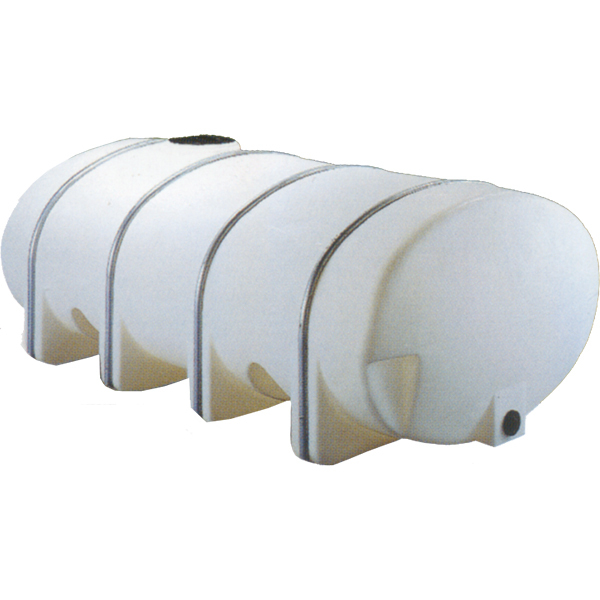 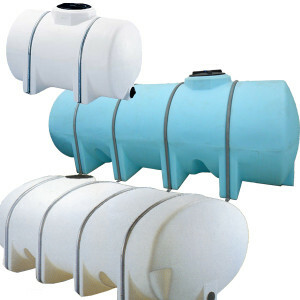 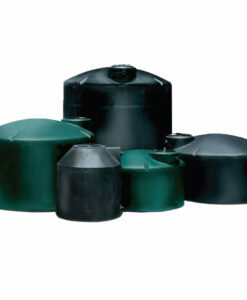 These polyethylene tanks feature molded-in legs and molded in baffles to reduce sloshing. 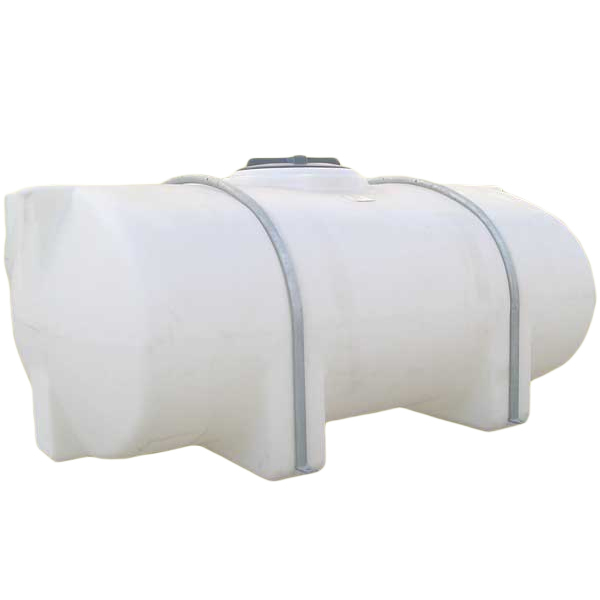 Standard tanks come in a natural color and are rated for contents with a specific gravity of 1.5. The Heavy Duty tanks come in light blue and are rated for 1.9 SPG contents. 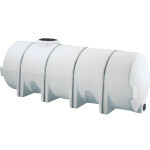 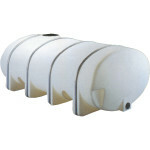 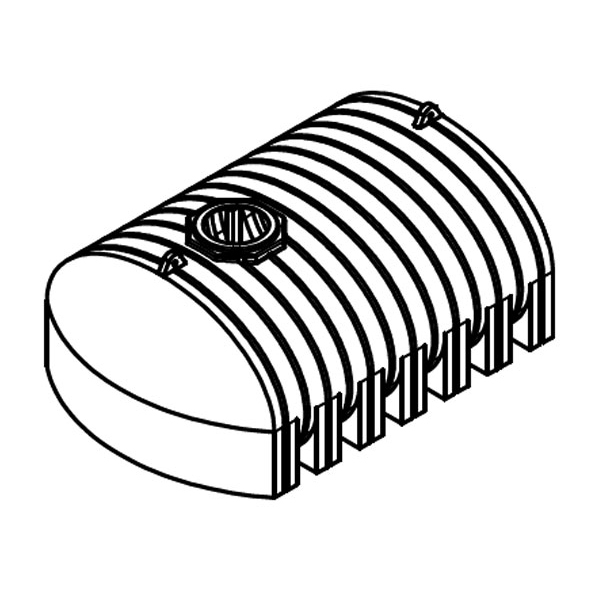 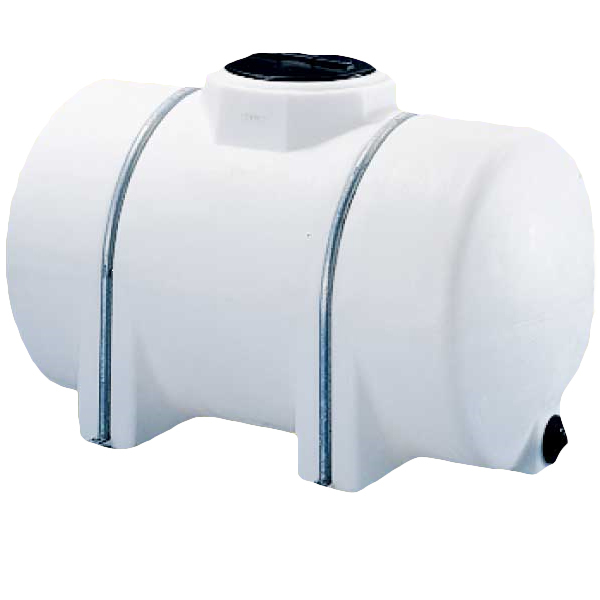 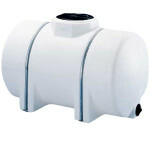 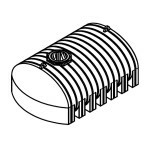 For Elliptical Leg Tank Styles and Drainable Leg Tank styles check them out in their sections. 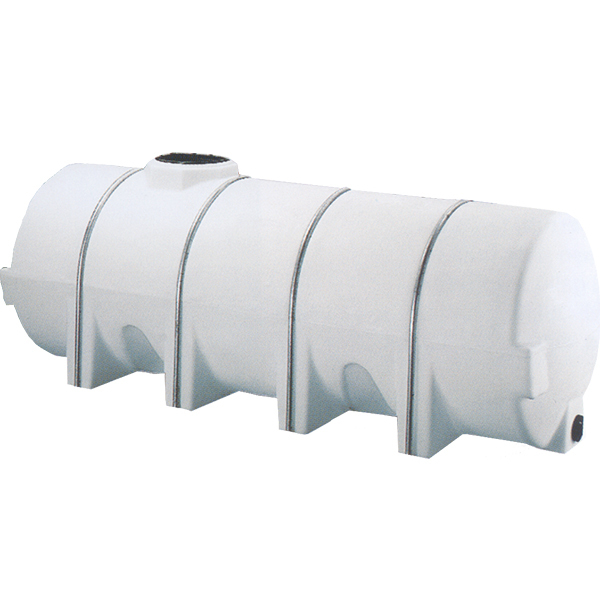 The cylindrical elliptical tank style is designed to provide the greatest capacity with the lowest center of gravity, making it the best design available for transporting larger volumes. 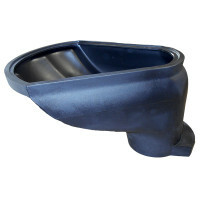 It features molded-in legs that act as “baffles” to reduce sloshing and provide increased stability during transport. 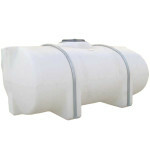 For Elliptical Leg Tanks purchased without bands, that require them, voids warranty. When complete drainage is necessary, these are the tanks of choice. 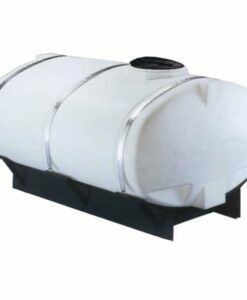 This drainable leg tank is designed primarily for use on fertilizer and chemical nurse trailers.